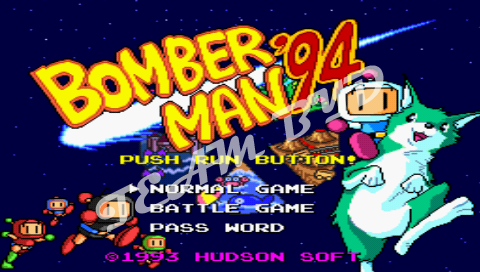 A downloadable version of the classic TG-16/PC-Engine game. 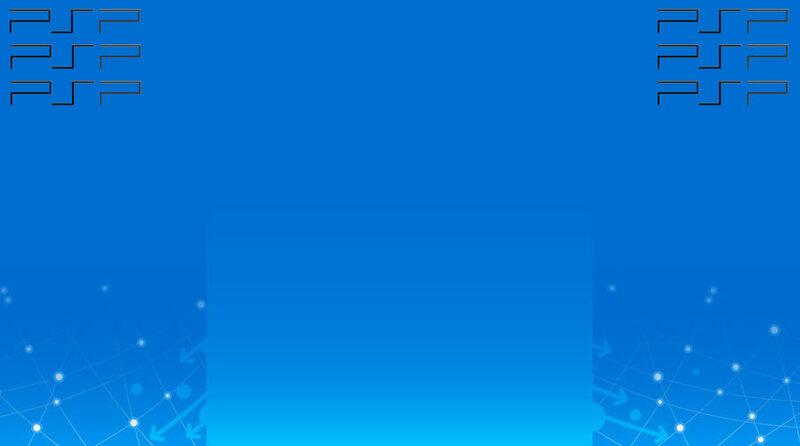 This downloadable game allows you to play the classic original on your PSP handheld system or PS3 home console. 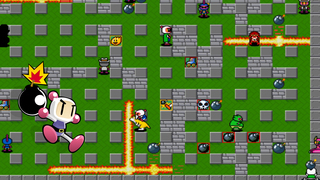 This is the 1994 installment in Hudson's action-packed, multiplayer-friendly franchise. 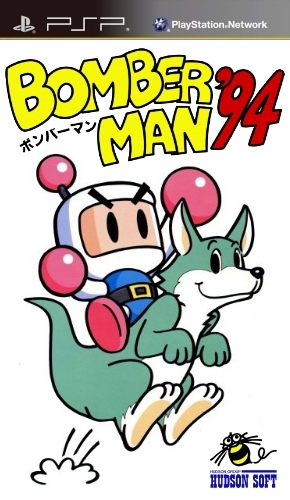 Next to improved graphics and the return of the famed 5-player battle mode, Bomberman '94 introduces a new star to the series: Louey. These kangaroos comes in five colors, each able to perform a special feat. Yellow can kick, barriers, purple can hop over them, green can run really fast, blue can kick bombs over barriers, and pink acts a shield that can take one hit (however, the others have this trait as well).